I remember when I was thinking about travelling with the kids before we left Canada, I was considering this trip with them to be as valuable as a University education. This helped me frame the expense, the time commitment – and justification for the massive upheaval as well as taking them out of school to do this. When you are “in” that mode of intensive travel, it can be hard to see the forest for the trees. Now that we have settled down for a bit here in Mexico, I’m taking more time to reflect on what we have done and experienced over the past 16 months of travel. Last night, while we were going around the table playing the “Thankful” game during dinner, Morgan expressed her gratitude for the opportunity to travel. I frankly didn’t expect to hear that until the kids were (MUCH) older – but it warmed my heart. 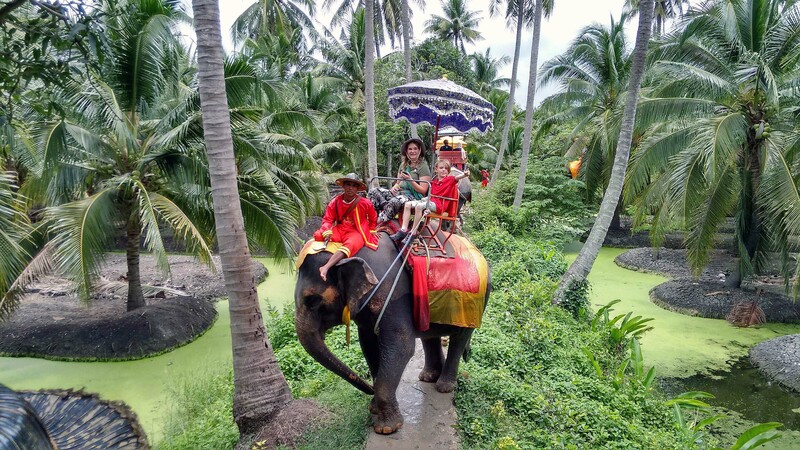 Riding elephants just outside of Bangkok, Thailand. Getting to see how happy my kids were, as I rode behind them was magical. 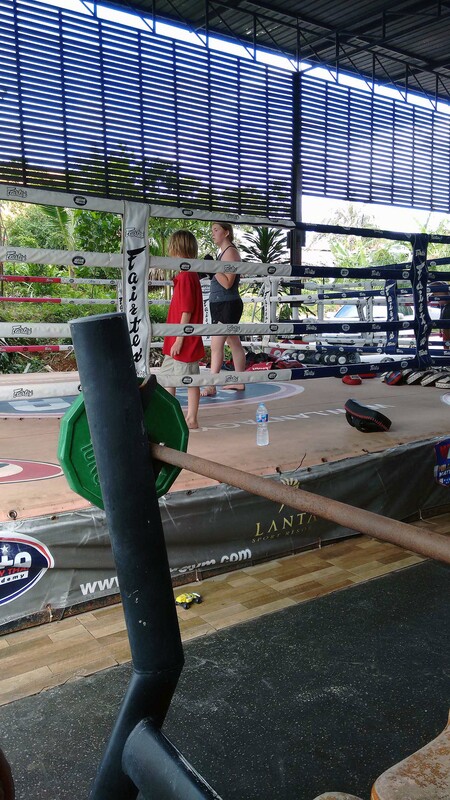 Learning Muay Thai, while in Koh Lanta, Thailand. This was part of our daily routine during the weeks that we spent here. 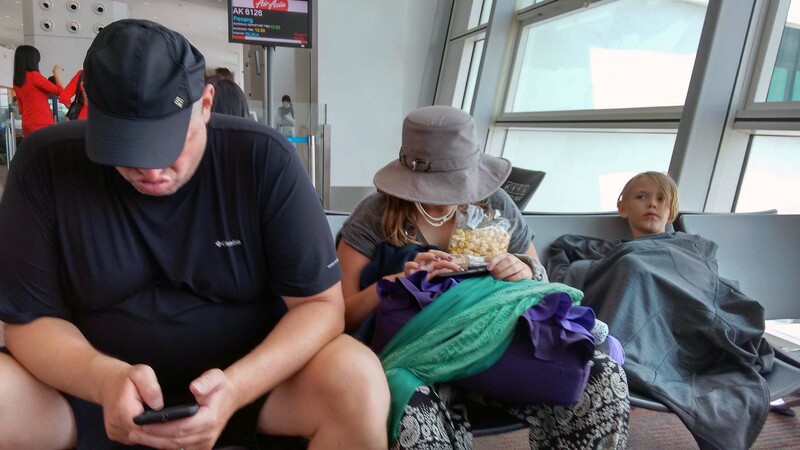 Waiting in airports for our flights. I’ve lost track of how many flights we took, but this was a regular occurrence. Learning about circuits at Tech Dome Penang. 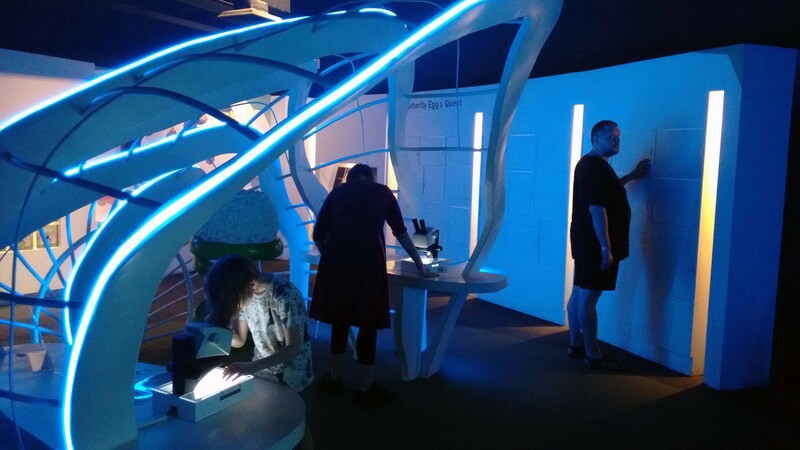 We made a point of visiting museums and learning centres as much as possible during our travels. Posing for photos at one of the trick photography museums in Penang. 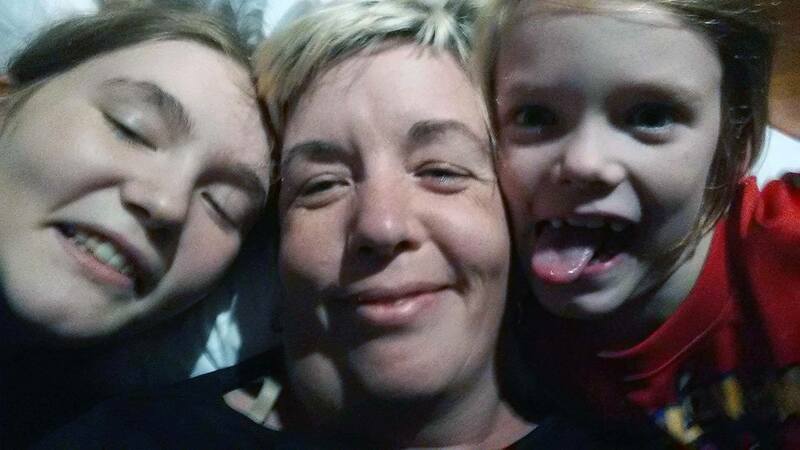 Crashing in a comfy bed, and taking selfies with their super tired Mom in Medan, Indonesia. I’d flown from Budapest that day (where I had been for work), and the kids and Marcus flew from Penang. My luggage was lost, but I was so glad to be able to cuddle with my kids again after a week away. Learning about the life-cycle of butterflies at Entopia in Penang. Looking for snakes at the Snake Temple in Penang (before we got told to leave by a woman making big angry gestures and say “GO” as she swished her arms at us). 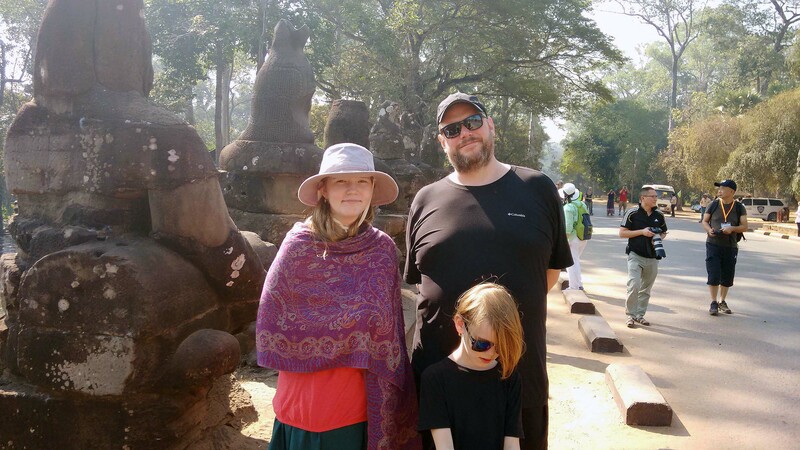 Marcus’s birthday trip to Angkor Wat, Cambodia. It was HOT there, but so amazing to walk in among the intricately carved temples and ruins. Crashing in our tiny room on our cruise from Singapore to Shanghai. No one was too happy with how small our room was, but we really enjoyed the cruise experience. 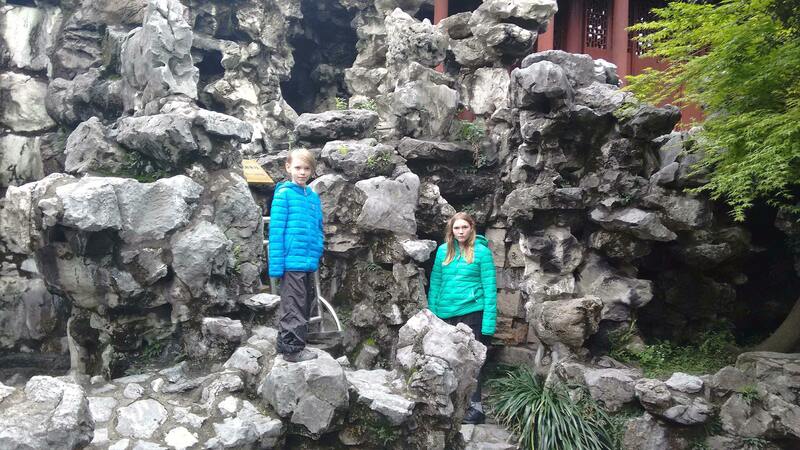 Exploring Yu Gardens on one of our rainy days in Shanghai. They were beautiful, and we were grateful that we had warm and waterproof jackets during our time there. 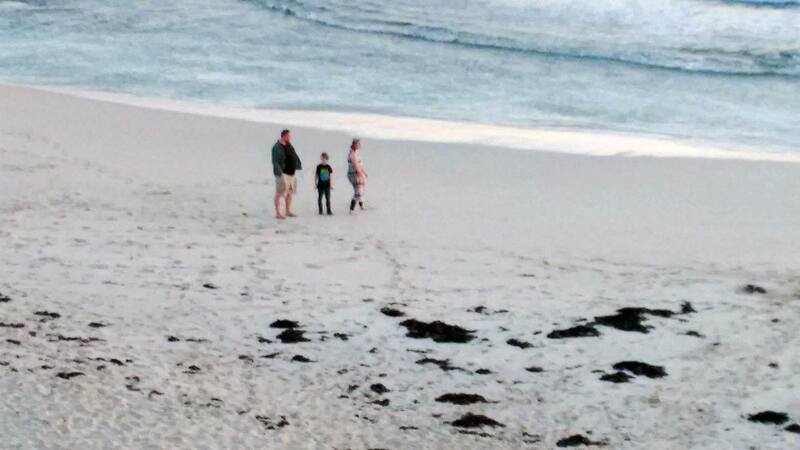 Walking on the beach beside the Indian Ocean while we stayed in Yanchep, Western Australia. Perhaps our kids best memory from our travels – the day we spent on Rottnest Island, Australia searching for Quokkas. Visiting the Taj Mahal in Agra, India. 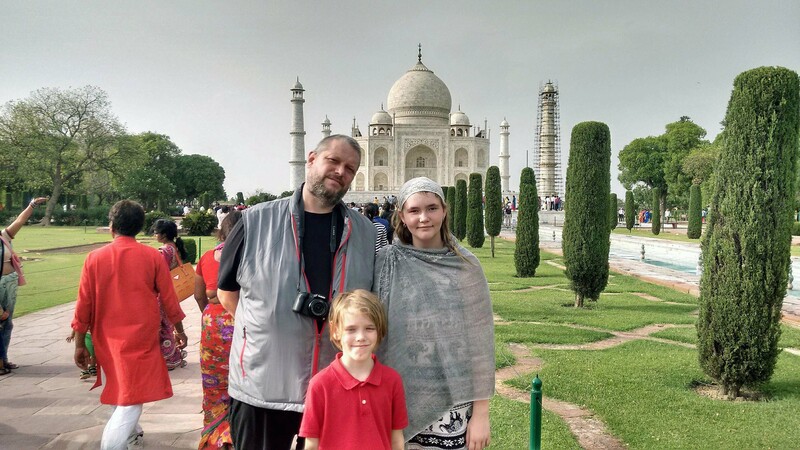 India was not our favourite place, and we had plenty of learning experiences there that we care not to repeat… but there were some beautiful moments. Riding camels near the Pyramids of Giza. This. Was. Amazing. 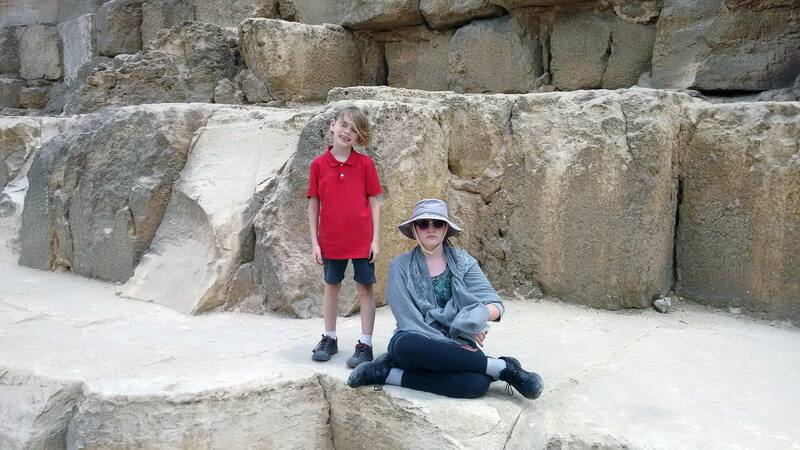 Sitting on the steps of the Great Pyramid. Soaking in how much history took place in that space. 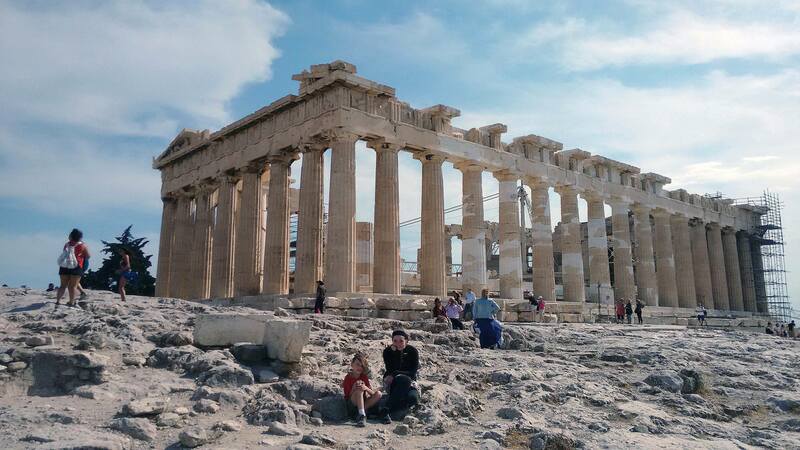 Sitting by the Parthenon, at the Acropolis in Greece. We loved the food, the history and the experience of Greece. 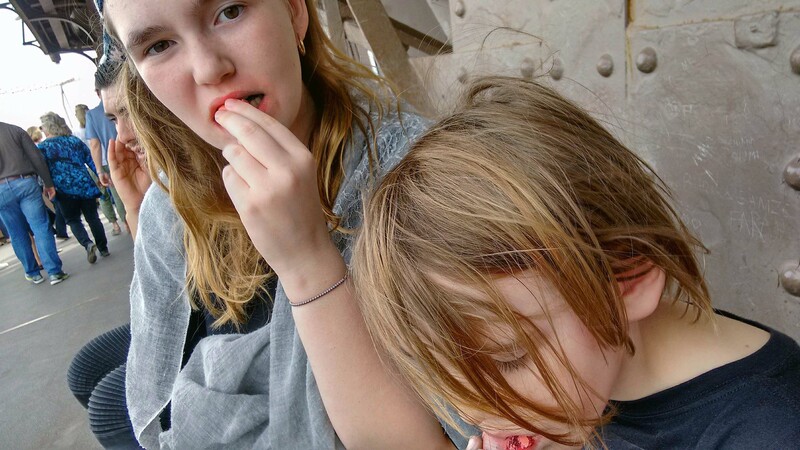 Eating amazing macaroons while touring the Eiffel Tower in Paris. Visiting Paris was on Morgan’s “must do” list, and I am glad that we were able to do this with her. Learning about naval travel and ship navigation in Lagos, Portugal. 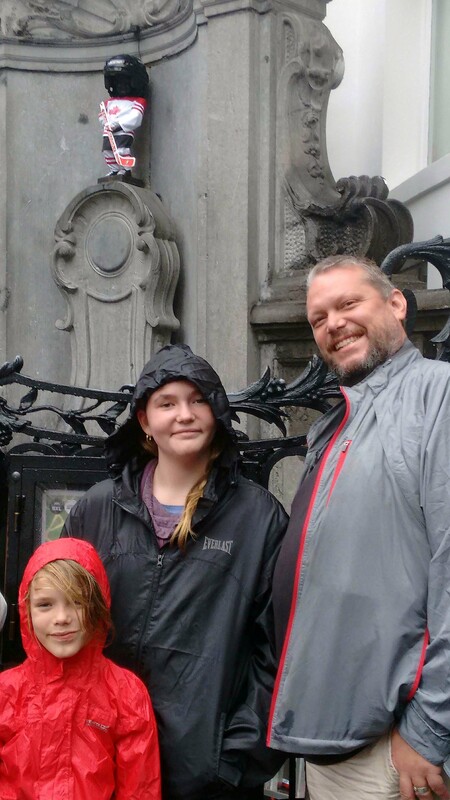 Seeing the Manneken Pis dressed up in a Team Canada uniform on Canada’s 150th Birthday while we were in Brussels, Belgium. This (and the amazing hot chocolate we had) is a day we aren’t likely to forget. We were truly “Canada Proud” that day. Riding horses while in Wales. Our tour through Ireland and the UK with Grandma Green was a very special part of our trip. Every opportunity they could find, Marcus and Artie indulged in being silly. As you can see, Morgan didn’t always approve. 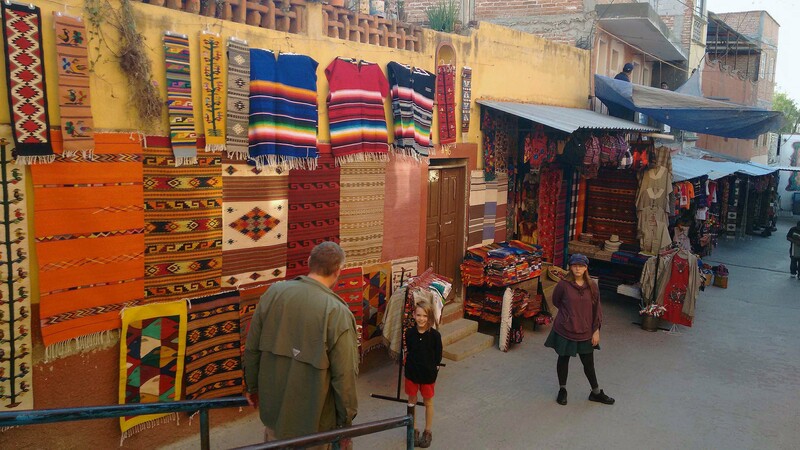 Exploring the beautiful colours of San Miguel de Allende. Not every moment has been perfect. 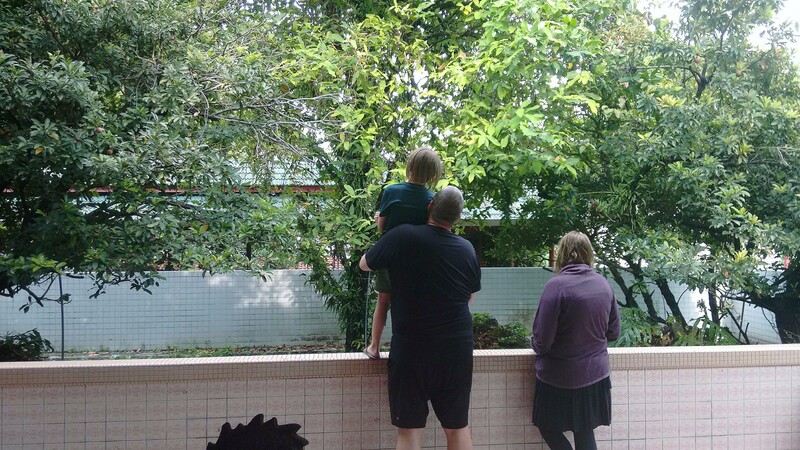 We dealt with illness, theft and homesickness. We managed some travel days where things did not go according to plan, and moments when we were ready to pack it all in. Adventure is like that. Adventure teaches all of us to push further beyond what we know and are comfortable with. Adventure brings to light our limits, and gives us an opportunity to see that we can grow. We all have grown, matured and learned through this adventure.